Getting state approval for a proposed Willets Point development that would include a mall and a movie theater could require the development team to create 47 acres of parkland. The New York Court of Appeals ruled on Tuesday that a long-delayed proposal from Sterling Equities and Related Companies to turn the former site of Shea Stadium into a major development featuring commercial and residential space needed approval from the state legislature to move forward. And legislators will likely demand the replacement of parkland before allowing the project to proceed, according to Crain’s. Locating 47 acres of land near Willets Point would be challenging, and purchasing it would be difficult as well. A previous proposal featuring a casino instead of a mall would have replaced 32 acres of park near the area of the project, but it is unclear exactly where that land was and if it remains available. The Willets Point project was approved by the Bloomberg administration in 2012, and the de Blasio administration eventually threw its support behind the project as well. 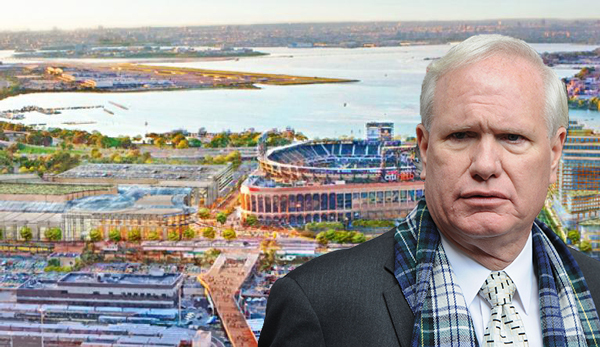 However, State Sen. Tony Avella and others had sued the city and the developers over the proposal, arguing that since the project was located on parkland, it needed state approval to move forward. The New York Court of Appeals agreed, handing him a major victory on Tuesday.